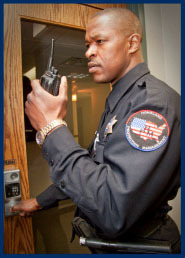 At Homeland Protection Management we understand that your security needs can vary based on the unique circumstances in your business. Our goal is to create partnerships with our clients by providing a customized security solution. With over 50 years of combined law enforcement and protection experience, Homeland Protection Management specializes in providing our clients with innovative options with the latest in technology coupled with our experience. Contact Homeland Protection Management for more detailed information.